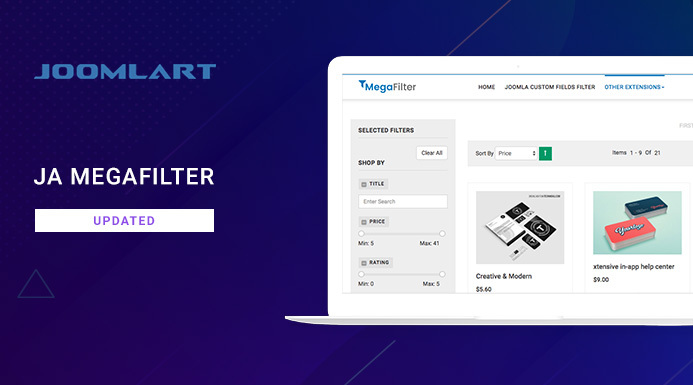 We are releasing updates for our advanced Joomla Search filter extension - JA Megafilter. In details, we released updates for J2 Store filter Plugin and VirtueMart filter plugin for bug fixes. 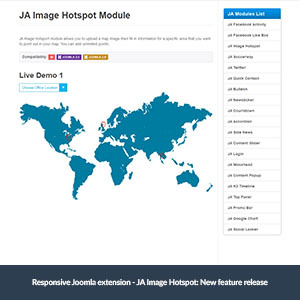 Free responsive Joomla extension for Map & Location - JA Image Hotspot Module for Joomla 2.5 and Joomla 3 has been upgraded to version 1.0.5 with new feature and some bug fixes. For more details on this update, please read the changelog below. 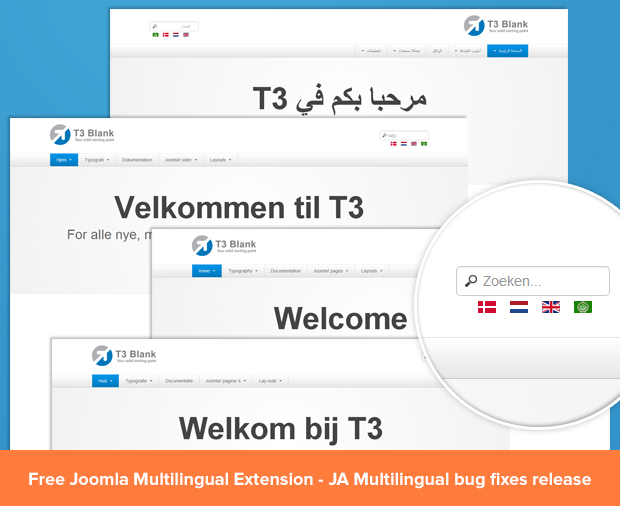 Our Joomla Multilanguage Translation extension - JA Multilingual for Joomla 2.5 and Joomla 3 has been upgraded to version 1.0.4 with new features and some bug fixes. For more details on this update, please read changelog below. 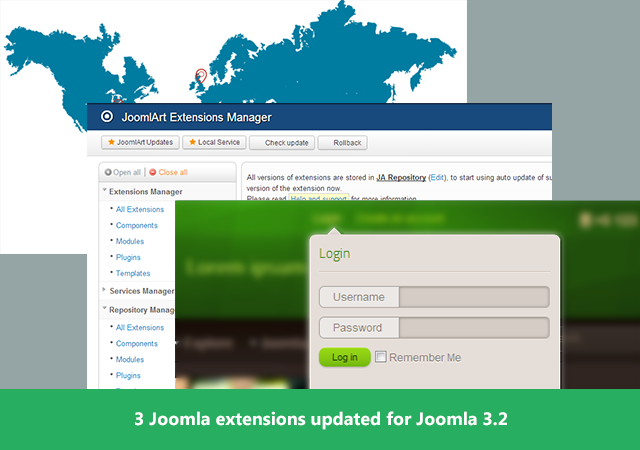 3 Joomla extensions have just been upgraded to the latest version of Joomla: Joomla 3.2.2 and Joomla 2.5.18 with a number of bug fixes and improvements. 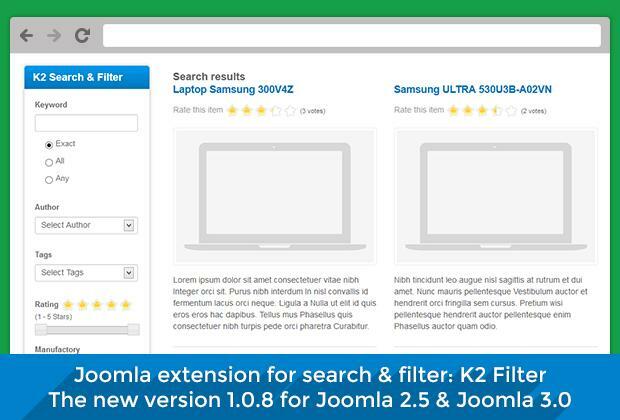 Joomla search component K2 Filter version 1.1.0 is out, now compatible with Joomla 3.2 and has new features, improvements along with bug fixes. What are the new features of K2 Filter? Joomla extension - JA Social Feed is a widely used Joomla Plugin to import content automatically from social sites; such as Facebook, Twitter, Pinterest, Instagram, Youtube, Flickr, Vimeo and more, for both Joomla 3 & Joomla 2.5. The latest version 1.1.1 has been released with routine bug fix and minor improvement. 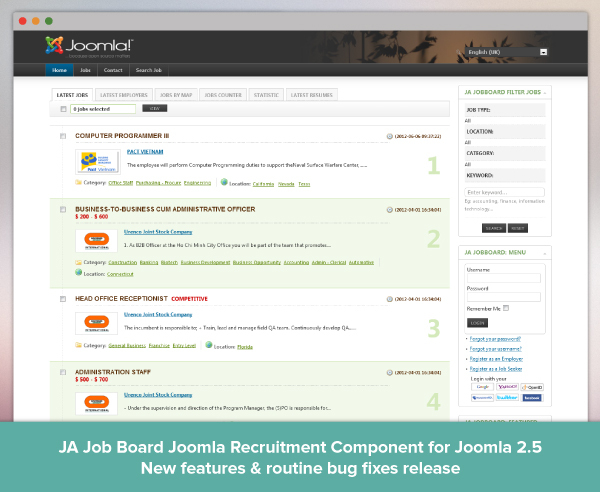 Joomla search component for Joomla 2.5 and Joomla 3 - K2 Filter version 1.0.9 is just out with new features, improvements along with routine bug fixes for this release. So what are the new features? 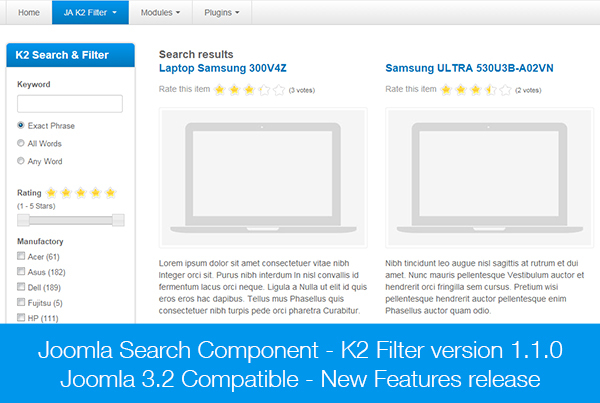 Joomla search component - K2 Filter for Joomla 2.5 and Joomla 3 has been recently updated with some improvements, bug fixes and new features. 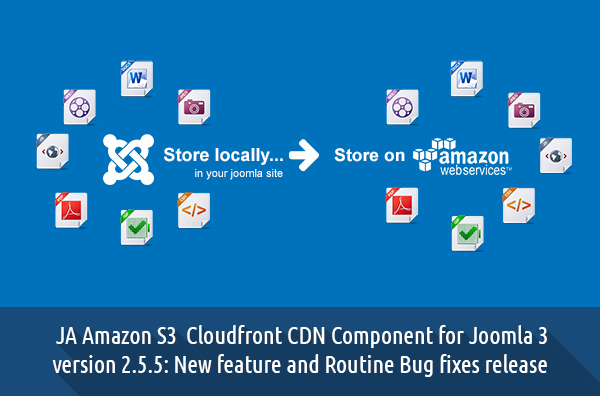 The Joomla extension JA Amazon S3 Cloudfront CDN Component for Joomla 3 has got its routine bug fix done and also added a new feature regarding to SSL (Secure Sockets Layer) matter. This new feature will allow you to either enable or disable the S3 links depend on the protocol type. 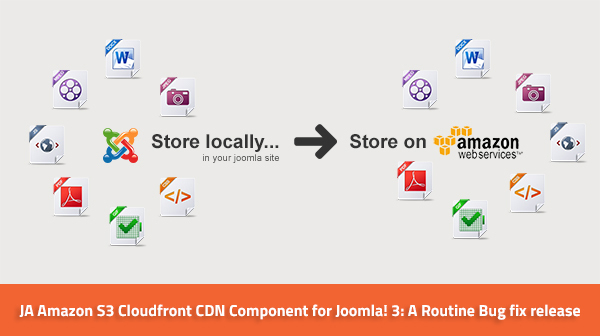 We did a routine bug fix for JA Amazon S3 - Cloudfront CDN Component for Joomla!